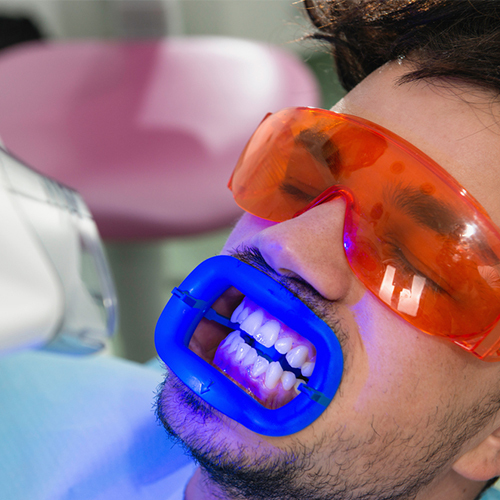 Teeth Whitening is a dental care process that uses materials to whiten the teeth. Teeth can become permanently stained by coffee and cigarettes or simply through the natural aging process. The whitening procedure can remove the stains to improve the appearance and brightness of the teeth.